Today was a road trip day which meant we had to get to up entirely too early. Early enough to be on the road at 9:00. That’s how early. 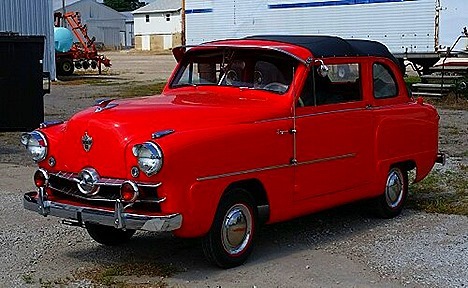 Nick and Terry, and Jan and I headed out for Peru, IN so Jan could track down some of her old haunts from when she lived here in 1957 when her father was stationed at Bunker Hill Air Force Base. But our first stop was in Twelve Mile, IN to visit Butch and Fonda Williams, long time RV friends from Nick’s Gypsy Journal Rallys. Nick was dropping off his RV fuel door locks to have them keyed alike and then we will pick them up on the way home. By the time we got into the Peru area, it was after 11, so we made a quick stop at McDonald’s for a lunch bite. 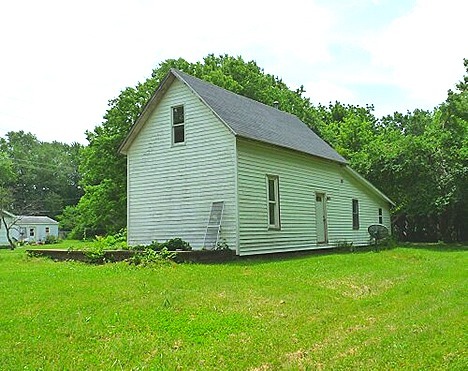 The first place Jan was hoping to find was the house they lived in. 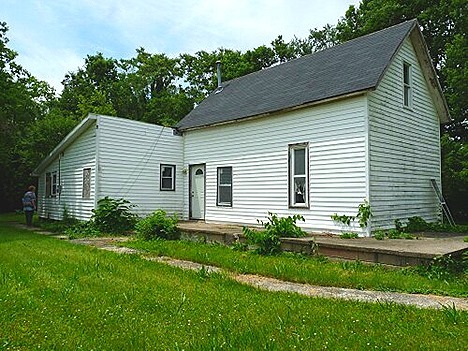 Jan told me she remembered it was a little outside of town heading towards Logansport, and only a couple of blocks from the Wabash River. So looking at the map yesterday, it looked like there was only one subdivision that was a likely candidate. She said that when she lived here there was a big picture window on the front where they put their Christmas tree. It looks like it hasn’t been lived in in a while, but it hasn’t been too long since there was a satellite dish on the back. As we came into town, we saw a sign that Peru was the birthplace of Cole Porter, the famous Broadway composer, so we tracked it down so Nick could get some pictures for a Gypsy Journal story. Our next stop was the Circus Hall of Fame located outside of town. 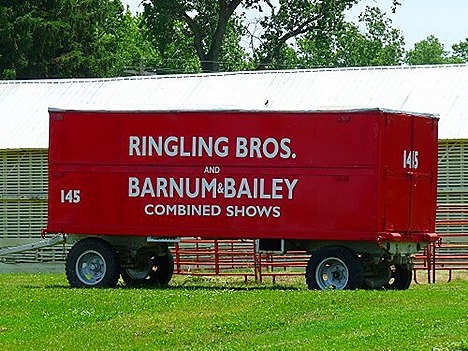 At one time Indiana was the winter home for over 100 circuses. And 10 called Peru home at one time. 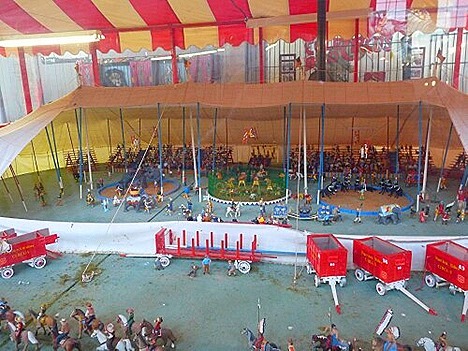 The first circus was held in Peru in 1884, and many started wintering here soon after. In fact Buffalo Bill’s Wild West Show played here several times. 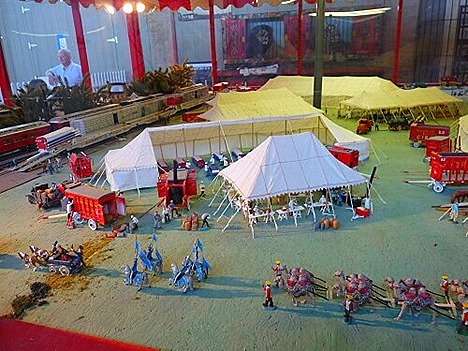 One of the stand-out exhibits is a very large diorama depicting an old-time circus, with a lot of detail. Heading back into town, we dropped Nick and Terry off at the International Circus Museum in the downtown area. Jan and I headed a couple of blocks away for the Miami County Museum. Jan wanted to look at old phone books and city directories to see if her family was listed. But we didn’t find anything. Apparently they weren’t there long enough to be in the books. 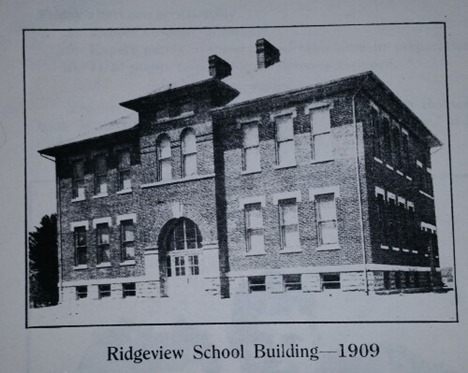 Jan also wanted to look for information about her old elementary school, which we figured out was called Ridgeview Elementary. She already knew it had been torn down in the 70’s, but she was hoping to find a picture of it. We did find this photo from 1909, which means Jan’s school was already 50 years old when she went there. 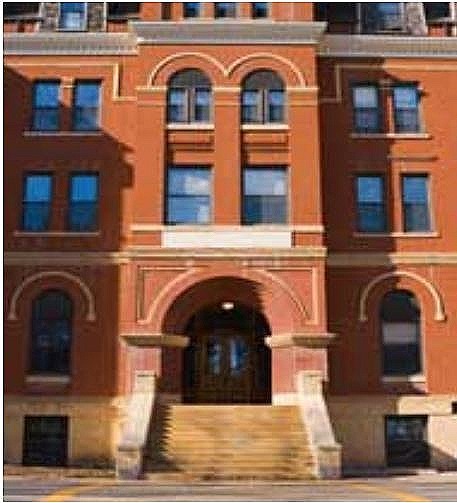 We had already found this photo of her school on the Classmates website. Leaving the Museum, and based on some info from the Curator there, we drove out to the cemetery so Nick could get some pictures of Cole Porter’s grave. Leaving the cemetery, and also based some info from the Museum Curator, we stopped at the Carousel Ice Cream Shop for a cold treat. We been told how great the ice cream was there, and pulling into the lot, it was easy to see why their ice cream was so good. Well, of course it’s good. 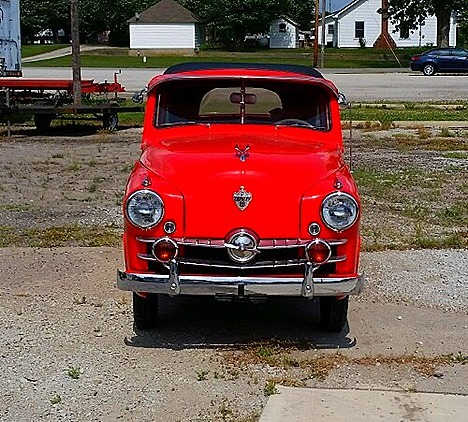 It’s from Texas. By now it was about 4:30, time to head back home. 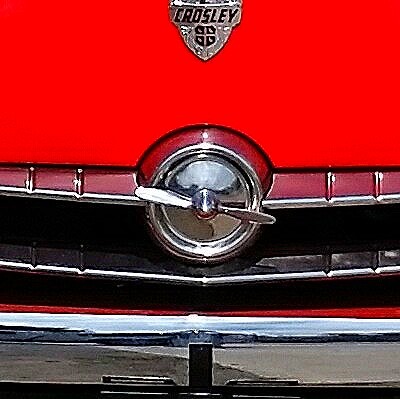 But first we stopped off at Butch and Fonda’s again to pick up Nick’s rekeyed locks, and also check out this 1951 or 52 Crosley Super Sedan Convertible that Butch was working on for a customer. 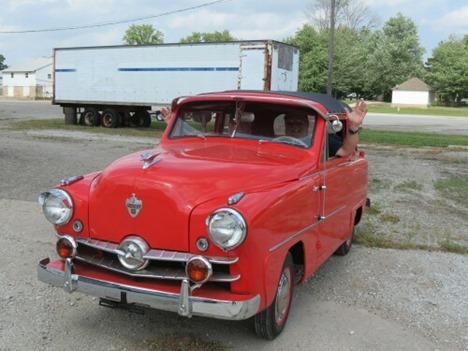 Butch is well-known in the Crosley world as a source and manufacturer of Crosley parts. In fact he has a whole warehouse of parts and the machines to built new parts. And yes, the propeller on the front actually spins in the wind. But the real question of the day, is how many clowns can fit in a Crosley Clown Car. For my part, I think the car is like Dr. Who’s TARDIS. It’s bigger on the inside than the outside. That’s the only explanation for how Nick and I could both fit. Finally leaving Butch and Fonda’s, we headed up to Mishawaka to have dinner at the Golden Corral. After a really good meal, and eating ‘til we almost hurt., we got back to the rigs about 8:30 after a long but very nice day.